I found the “Wednesday’s Child” blog prompt at Geneabloggers and because I have taken hundreds of cemetery photos over the past few months I decided to use this topic for my first post. 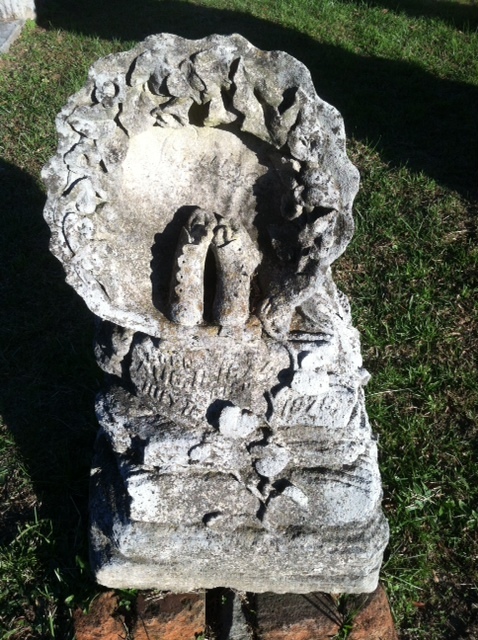 One of the most intricate of the children’s grave markers that I have seen recently belongs to Louise and Parker Hazel Conrad in Danville, Virginia’s Green Hill Cemetery. Louise lived from August 1877 to July 1878 and was the oldest child of Charles (a leaf tobacco dealer) and Mary Parker Holland Conrad. 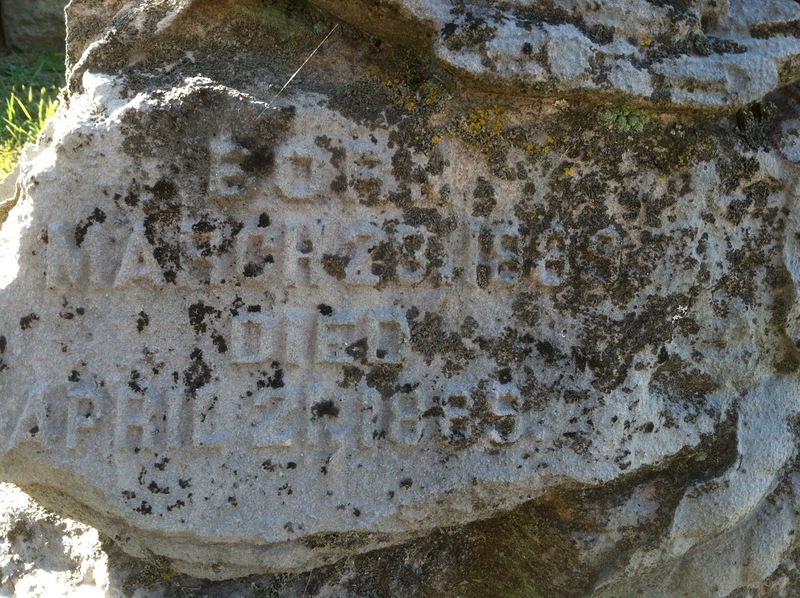 Hazel lived from March to April 1889 and her information is on the back side of the marker. The couple had several other children; Hazel being the last born. The entire Conrad plot in Green Hill is beautiful and has a tree theme. 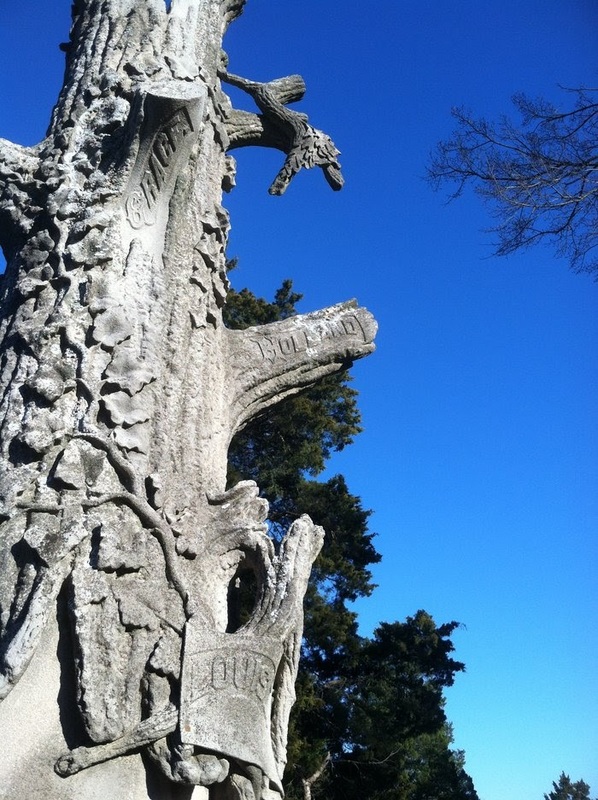 Often in cemetery symbolism felled trees are used to represent someone who died at a mature age and a tree with cut branches indicates a short life or unexpected death. (I plan to go into more detail about grave marker symbolism in future posts.) 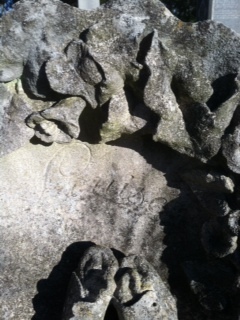 Here is another photo from the family plot. I’ve been unable to find out additional information online about the other Conrad siblings or Louise’s or Hazel’s COD, however child and infant deaths were fairly common for that time period, as anyone reading tombstones in older cemeteries can attest to.